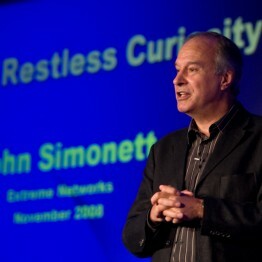 John’s “Restless Curiosity” keynote on creative thinking has been delivered to a wide range of audiences – both in the Private as well as Public “not for profit” sectors. His message is universal and in essence encourages delegates to think differently, challenge their assumptions and realise that there is “always a better way” to do what they do. Not for nothing is the title of his talk “Restless Curiosity”! John always works to a brief to adapt his keynotes to the audience – or to reinforce a conference theme. No two talks are ever the same! The following case studies have been chosen to illustrate the many and varied briefs he has been given in the past! for senior managers in local government.